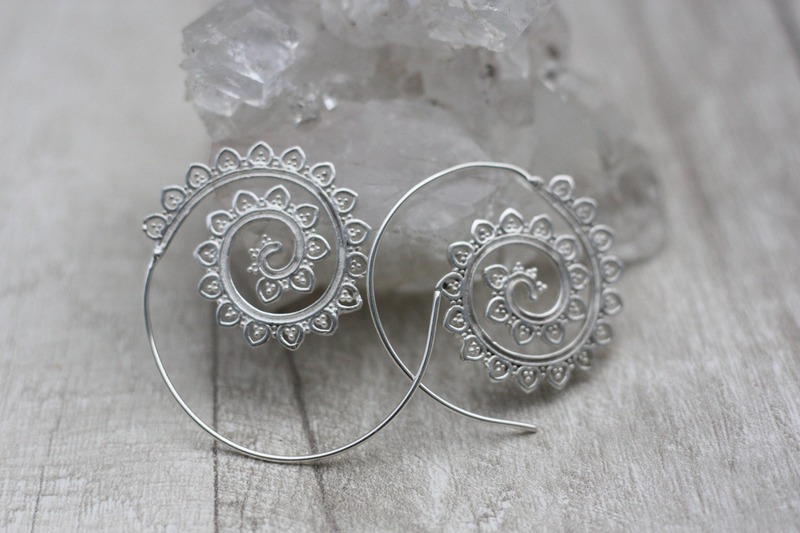 Silver plated tribal twist earrings. 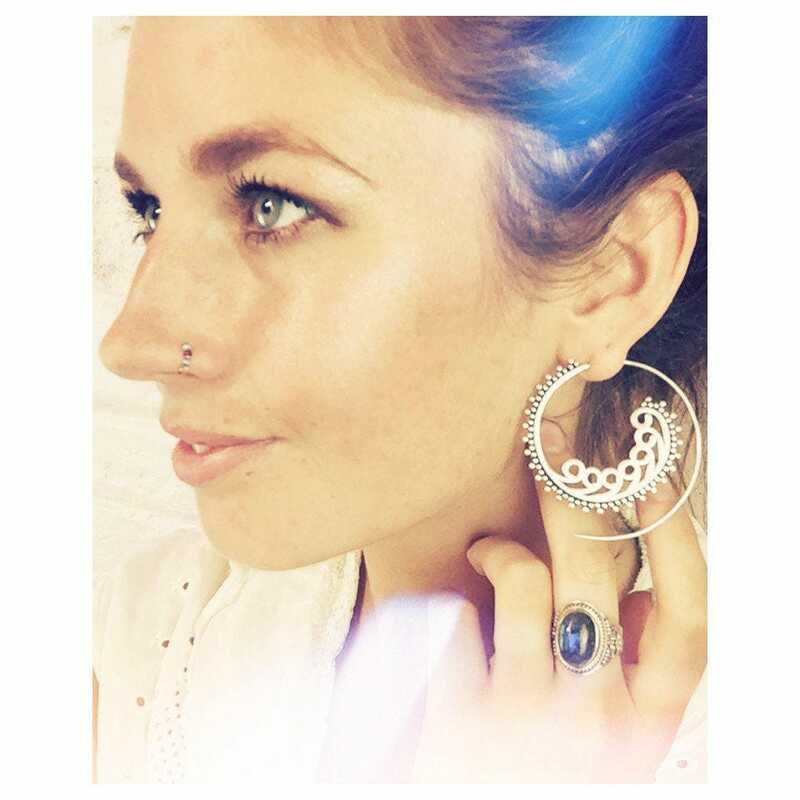 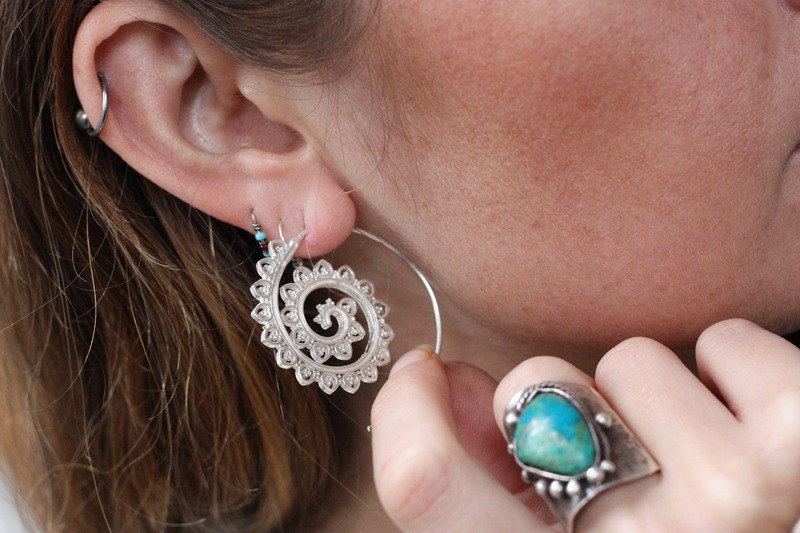 Inspired by mandalas these earrings are bohemian, fierce and beautiful. 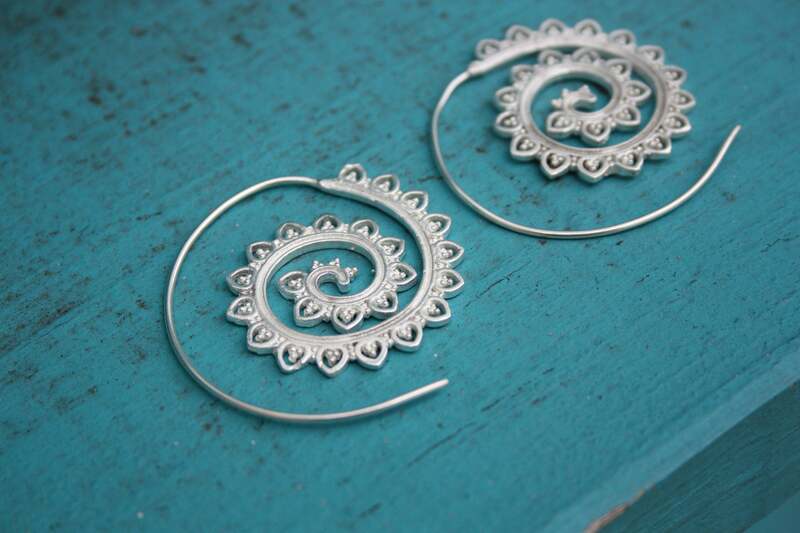 They have no hook or clasp and simply twist into your ears in a feminine and natural way. 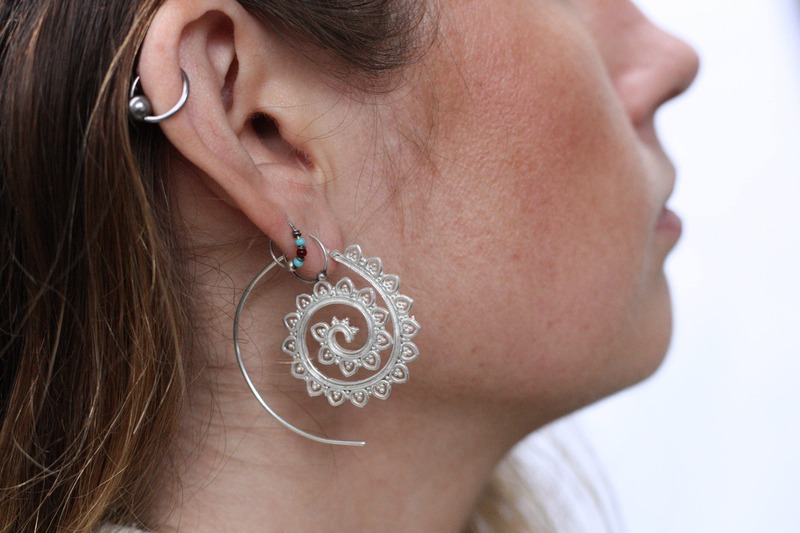 *Available in other styles and sizes, please see other listings. 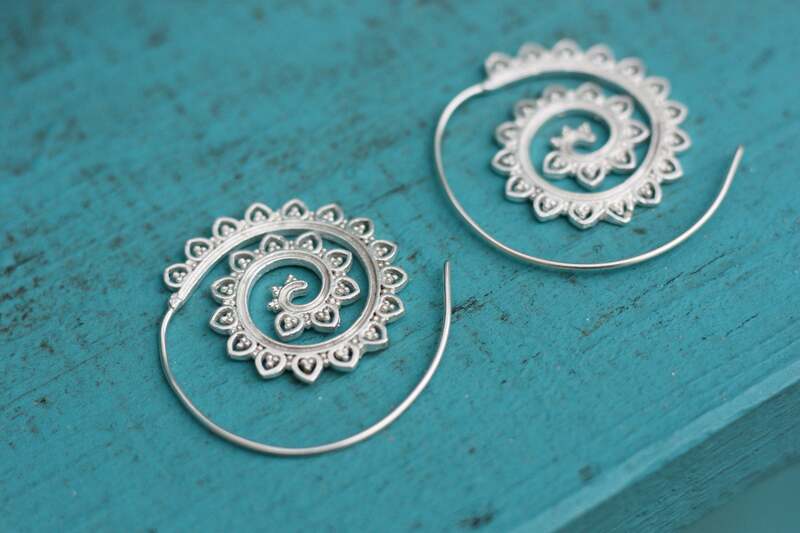 Material: White metals, Silver Plated. 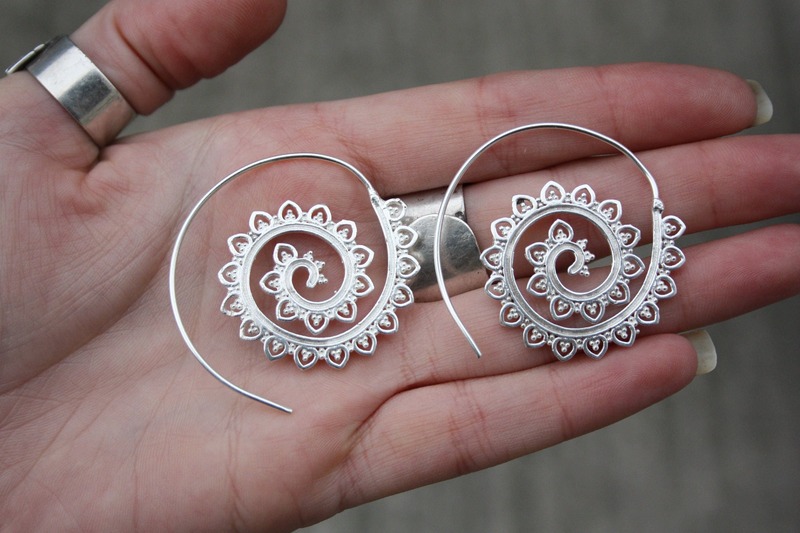 Love the earings, they arrived super quick !